We’re always looking for new products to add to our growing range! 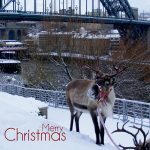 Do you have a product you’d like to see via North East Gifts? Are you an artist, illustrator, designer, photographer or just a bit crafty with your hands? We sell at a price that suits you – you could be a newcomer to the arts world or an established name, so we’ll agree terms with you before we list anything. We are open to buying stock at trade prices once your products are selling at a volume that allows us to do so. PLEASE NOTE: We tend to respond very quickly, but sometimes our messages go into Spam or Junk… so please check there! What category does your work come under? Please add a photo/image of your work! If you have a website demonstrating your work then show us here.